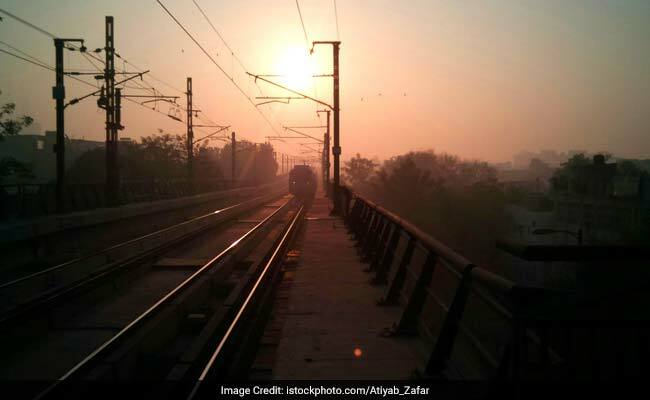 New Delhi: Testing on the over 20 km-long Majlis Park-Durgabhai Deshmukh South Campus section of the Pink Line of Delhi Metro has been "successfully completed", the Delhi Metro Rail Corporation said today. The 59-km-long Majlis Park-Shiv Vihar corridor (Line 7) of the metro network, also known as the Pink Line, is part of the Phase-III project, and trial runs on its other stretches have also been conducted, starting last year. The corridor, including this stretch, will open in parts, by June 2018, officials said. "The trials and testing on the 20.6 km-long Majlis Park- Durgabhai Deshmukh South Campus section of line 7 (Pink Line) of Ph-III, has been successfully completed," the DMRC said in a statement. Most of the clearances required for inviting the Commissioner for Metro Rail Safety (CMRS) to inspect the section, including fire safety clearance, license for working lifts, among others, have been received by the DMRC, it said. Since the application involves voluminous data of civil, electrical, signalling and track, the DMRC may also have to supply any additional information further sought by the office of the CMRS. "After this entire process, it is expected that a suitable date for inspection of the section will be indicated," the DMRC said. The Majlis Park-Durgabhai Deshmukh South Campus section has 12 stations, including, three interchange stations - Azadpur, Netaji Subhash Place and Rajouri Garden. "The metro train on this stretch will also cross Dhaula Kuan at a height of 23.6 m (as high as a seven-storey building) to reach South Campus from Majlis Park," the DMRC said. On February 7, trial runs had begun on the over 10-km-long elevated stretch (IP Extension-Maujpur) of the Majlis Park-Shiv Vihar corridor, on which the new signalling technology, Communication Based Train Control (CBTC), will be "rigorously tested".